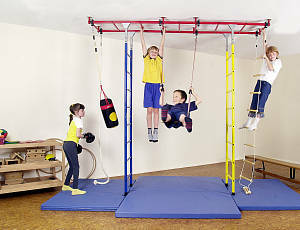 Ideal for overweight children our indoor sport equipment offer a large variation of sport activities. 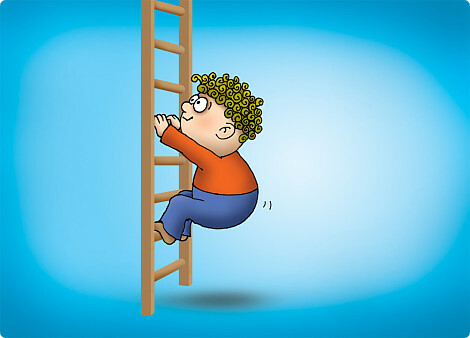 Overweight children trained and do sport excercices unconsciouly : they see our sport equipment as a game. While playing and doing excercices the trained their muscles, the abdomen and thier back. the versatile movement experiences affect positivly not only the physical development, but also the mental efficiency and the social behavior positively. 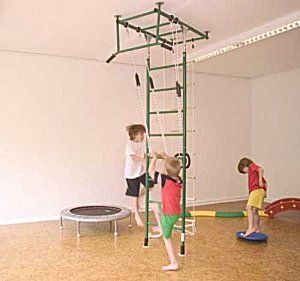 Without structural measures and drillings you can transform the children's room with the climbing jungle fast and space-saving to the adventure playground. Attractive accessories guarantee a use of the sport devices during the entire childhood.